Finding the right ‘first step’ to learning professional quality card tricks can be hard. There are many courses and magic books on the subject of self working tricks already. However, these are often full of poor quality mathematical tricks and can be very hard to learn from. This is TOTALLY DIFFERENT. MoM would like to invite you to try out this collection for free. It will show you just how it will set you on the right path to learning card magic. Ultimate Self Working Card Tricks on DVD or Instant Download Video is our recommended source for beginners wanting to learn professional quality card tricks, without having to worry about sleight of hand. We think you will love it! So, we would like you to try it out for free. You will receive one of the tricks from the course instantly, and some great tips and advice to get the most of the learning experience. No purchase is required, it’s given to you totally free so you can test drive the magic you will learn if you pick up the full training course. Your own private link to watch the full performance and explanation of a great trick on the course. Get full tuition so you can perform it right away! All you will need is your own deck of playing cards. We will also send you extra magic tips to help improve your card technique. 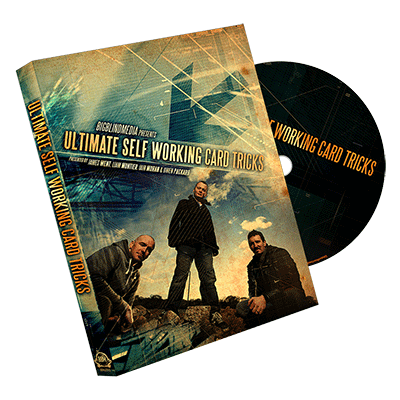 To access the free sample of Ultimate Self Working Card Tricks simply fill in your details below and we will email you the free training tutorial. It’s totally free and we won’t spam you. You just get to try it out, and if you like it, you can download the whole course.